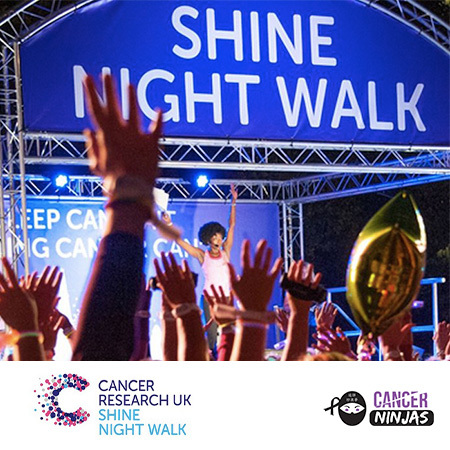 I’m walking two half marathon's with a load of Cancer Ninjas chums to fundraise for Cancer Research UK in their Shine London night walk but I need your support ...please! I am walking with the Cancer Ninjas, through London for thirteen miles on a Saturday night to raise money for Cancer Research. There will be thousands of us shining together, raising money and awareness for Cancer Research.